After retrieving the third piece of the Key of Time, the Doctor, Romana and K-9 follow a telltale trace of chronon radiation to 1937 Shanghai. Instead of finding the next segment, however, they stumble into a dangerous conflict involving the Black Scorpion, a ruthless gang the Doctor last faced in Victorian London during their service to the time-traveling war criminal Magnus Greel. Now leading the gang is Hsien-Ko, the daughter of Greel's former lieutenant Li Hsien-Chang, who has been transformed after being irradiated by chronon energy and is embarking on her own dangerous experiments. With Hsien-Ko on the brink of realizing her goal, the three time travelers search for allies in the treacherous world of wartime Shanghai as they work to stop her before she fractures time itself in her quest for revenge. In writing an adventure involving the most popular Doctor of the classic era that is a sequel to one of the best-received serials of his tenure and is set in one of the most tightly-plotted seasons of the original series David McIntee sets himself a number of challenges. 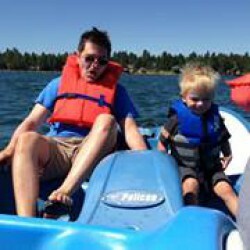 It's a mark of his ability as a writer and his understanding of the Whoniverse that he pulls it off so successfully. His insertion of his story into the Key of Time quest is virtually seamless in its justification, giving both the Doctor and Romana (whose first incarnation is extremely under-utilized because of the nature of the season) a reason to address the problem while in the midst of a much greater mission. 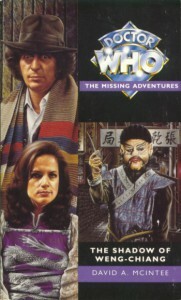 The underused setting of China (one to which he would subsequently return in future Doctor Who novels) also allows McIntee to expand the Doctor's scope and introduce story elements new to the long-established franchise. Yet none of this would work without McIntee's success in his characterization of both the well-established TARDIS crew and the people he introduces into the tale. It makes for one of the best of the Virgin Missing Adventures series, one that is well worth the time for fans of the franchise to seek out.